Genuine Vw Complete Fuel Pump Assembly for Mk2 Golf GTI 16v k-Jet with the KR engine code. Mostly VW related; Golf GTI, G60, 16v, Rallye, Corrado, 1.8t 20v etc etc. Grab a bargain! Everything in the pictures is included.accumulator, pump etc. VW GOLF MK2 GTI MAIN FUEL PUMP AND FILTER HOUSING. Condition working but it is Used. Dispatched with eBay delivery – Shutl 2-3 days. VW T4 Diesel Pump 1.9 TDi. ABL 0 460 494 417. From a 1998 (S) Transporter. Please check the numbers in the picture to ensure it is the one you need and they form part of the description. I've had it on the shelf for a couple of years as a spare and I no longer need it. Vw Golf Mk1 Bosch Fuel Pump. Dispatched with Royal Mail Signed For® 2nd Class. Been sitting on the car for a few months used to turn engine in over then taken off. As new. Check out my other listing for other new parts or my car. Thanks for looking. 1.8t High Performance Fuel Pump Vag Vw . Condition is Used. Dispatched with Royal Mail 1st Class. Nearly new, 1000miles use if that. FITS : ALL VAG 2.0 TFSI engines 2003 - 2015 (excluding the chain driven E888 engine). - 1 x Tappet. Kit contains - 3 x Bolts. - 1 x O-ring seal. This part will fit the PD100 ( ATD, AXR ), PD115 ( AJM ), PD130 ( ASZ ) & PD150 ( ARL ) as well as many other 1.9 TDI PD's. Genuine VW AUDI SEAT SKODA 1.9 TDI Tandem Pump (Fuel and Vacuum). Collection on all parts is possible during work hours which are. VW Caddy Fuel Pump 2000 1.9. Condition is Remanufactured. Dispatched with Royal Mail 2nd Class. Fully serviced fuel pump, paper work included for proof. VW GOLF MK 4 2001 1.9 TDI ALH VACUUM PUMP WITH PART NUMBER 038145101B. Oil Cooler for golf mk1 1.6 1.8 GTI. Zinc Plated Hoses, Cooler Bracket and screws. VW GOLF R MK7 S3 8V 2.0 TFSI. REMOVED FROM VW GOLF R MK7.5 2018 FACELIFT 2.0 TSI DJH AUTOMATIC DSG GEARBOX IN BLACK. FUEL PUMP IN TANK. PART NUMBER 5Q0 919 051 BP. IF THERE IS A PART YOU ARE LOOKING FOR AND YOU CAN NOT FIND IT. VW GOLF MK4 1.9 TDI DIESEL BOSCH HIGH PRESSURE DIESEL PUMP 1999-2004 TESTED BOSCH BT4017. fits 1.9 TDI DIESEL only. INTANK FUEL PUMP. VW GOLF MK5 GTI 2.0. EVERY PART TAKEN OUT OF THE VEHICLE HAS BEEN TESTED. IS SEPARATE PRICE. ALL OUR PARTS ARE SOLD AS USED AND ARE ALMOST ALWAYS GOING TO BE SUBJECT TO A DEGREE OF WEAR, SCRATCHES AND AGE RELATED MARKS. Only suitable for models with the PB engine. Not suitable for 16V. (Part Number: 1K0919050D. Donor Vehicle: VW GOLF MK5 2005 1.9 TDI. 9) our warranty covers the cost of the part, and no other costs incurred. example, labour is not covered. cost of hire car is not covered. VW GOLF MK5 2005-2008 1.4 TSI BMY BLG ENGINE HIGH PRESSURE FUEL PUMP 03C127025T. Condition is Used. Dispatched with Royal Mail 1st Class. 03L 130 755 D. VW GOLF MK6. 2.0 TDi DIESEL MODEL. VW AUDI USED SPARES LTD. FUEL INJECTION PUMP. HIGH PRESSURE. VW Golf 1998>2004. VW Golf 2004>2008. 038145209Q - 038 145 209Q. This is a tandem fuel and vacuum pump for a massive range of VW, Audi, Skoda and Seat TDi and diesel engines. Important - We want you to get the right part for your car. Part number. Audi, VW, Seat, Skoda 1.6 tdi 2010-2013 CAY. High pressure fuel pump. Locking plate has one lug broken off so will need swaping with your old one. This part will be suitable for Item condition. Part number 06F127025. FROM VW PASSAT B6 3C2 2.0 FSI. Key Features. Goods will only be dispatched upon cleared funds. We are gladly at your service for any further queries. (Except Malta, Cyprus, Canary Islands). 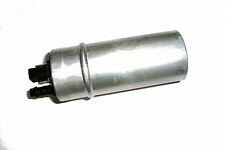 HERE WE HAVE A FUEL PUMP, FITS VW DERBY (865/6) 895cc, 04/1975-09/1981. SANTANA MK1 (32) 1.8, 08/1983-12/1985. DERBY (865/6) 1.1, 07/1976-09/1981. DERBY (873) 1.3, CAT 08/1983-11/1984. SCIROCCO MK1 (53)1.1, 02/1974-07/1979. Fuel Pump Vw,Audi,Seat,Skoda FP5227 1.6TDI-2.0TDi. Condition is New. Skoda Octavia Hatchback 1.9 TDI (2004 - 2013) 77kW. Skoda Octavia Combi 1.9 TDI (2004 - 2013) 77kW. Skoda Octavia Combi 1.6 TDI (2004 - 2013) 77kW. VW GOLF R MK7 AUDI S3 8V 2.0 TFSI CJX MANUAL. REMOVED FROM AUDI S3 8V SPORTBACK 2017 2.0 TFSI CJX 6 SPEED MANUAL GEARBOX IN BLUE. HIGH PRESSURE FUEL PUMP. PART NUMBER 06L 127 025 M. FITTING SERVICE AVAILABLE - IF THE PART IS FITTED BY US THERE IS 1 MONTH WARRANTY. In Tank Fuel Pump from VW Golf mk1 GTI. GENUINE VOLKSWAGEN GROUP FUEL PUMP FOR MOST NEW GOLF/A3 MODELS. Screws, nuts and bolts are also classed as a free gift if included. Paint Colour. Donor Vehicle Details. Part number:-07L127026Q. All parts are used but fully tested and in full working order before removal.